When we purchased our home several years ago, there was a lot about it that was…different. 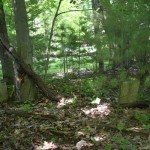 One of the most unique features was the small cemetery that was tucked back into the trees not far from the house. We weren’t ever anticipating a cemetery reclamation project. We were intrigued,and took it in stride as just part of what made this such a great home for us. It wasn’t until we had been here some time that we really looked it over. 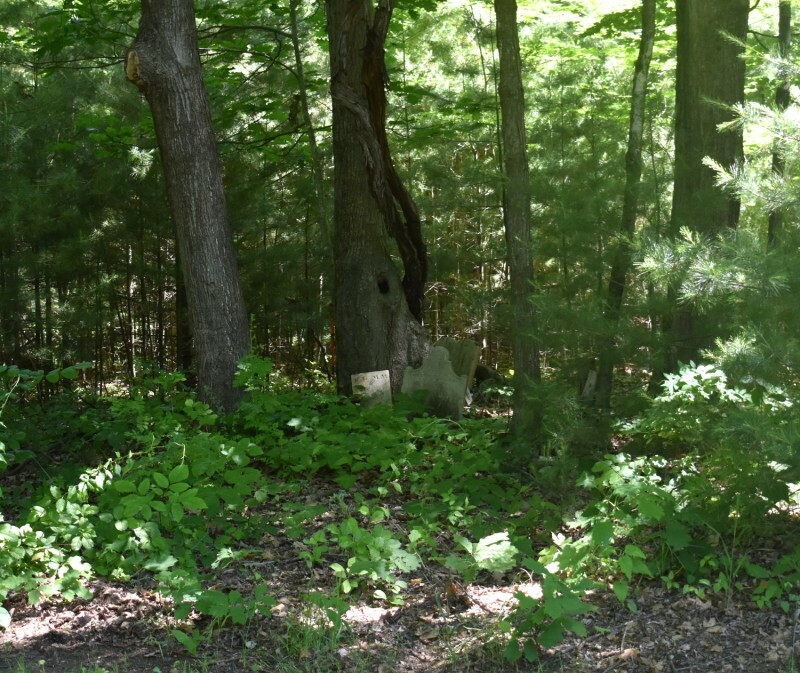 So, we are starting to clear out all the brush, trash trees, etc., to try and discover a bit more about who – and how many – are here. 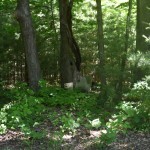 There are 5 or 6 headstones still standing although it doesn’t look like they are in the place they initially started. 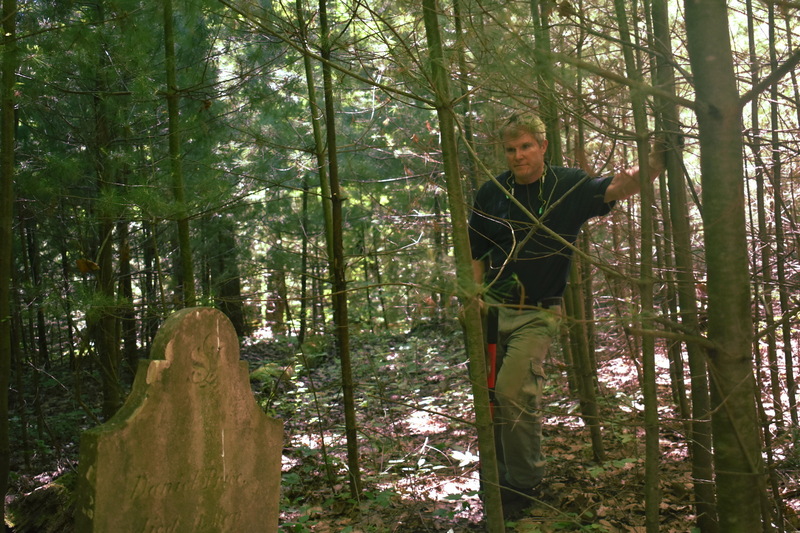 Some of these headstones are from people who lived in the 1700’s. 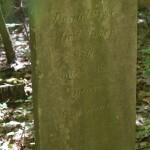 Long lost souls, no record yet of who they may have been. Tenant famers, according to one neighbor whose family has lived her for generations. 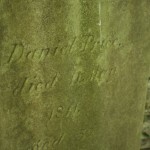 The largest stone reads: “Daniel Price, Died 1811, Aged 39 years 4 days”. 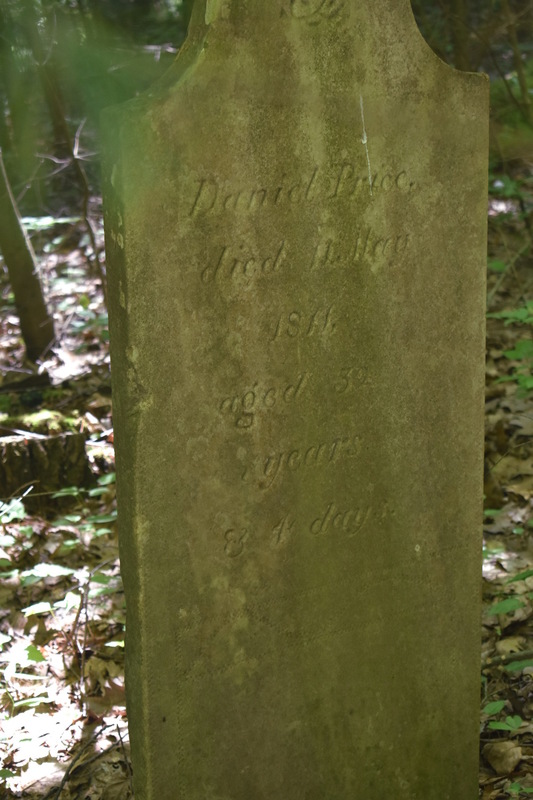 There are broken pieces of headstones throughout this section of our property. 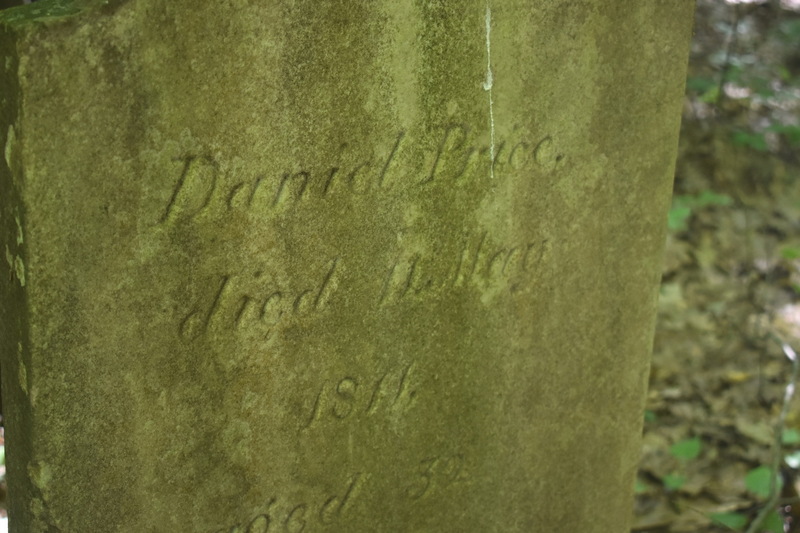 Don’t believe we will ever be able to find too many more names or dates, but it’s kind of nice to be able to tidy it up and just recognize them. Cemetery reclamation is a process. 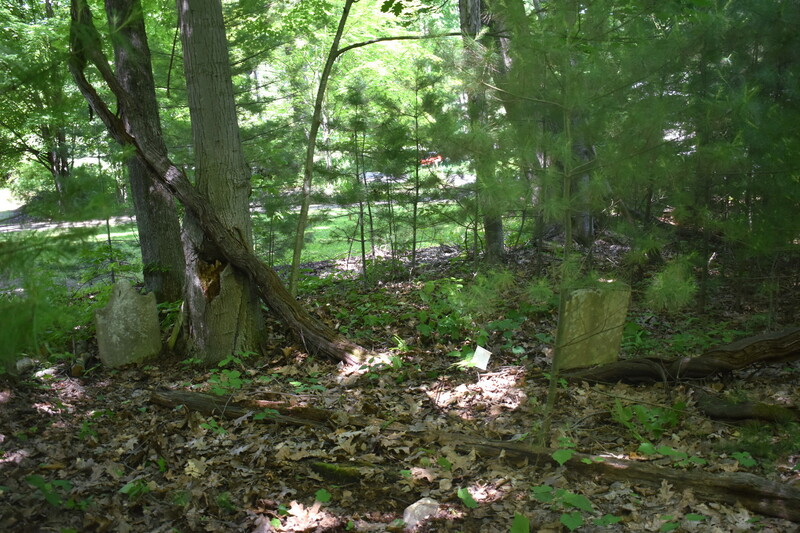 Our cemetery is private, not maintained or cared for by any municipalities or organizations. We know nothing about how this works, so it will be a learning process and a labor of – if not love, then responsibility.